Resist Andeavor/Tesoro Anacortes Refinery Megaloads! 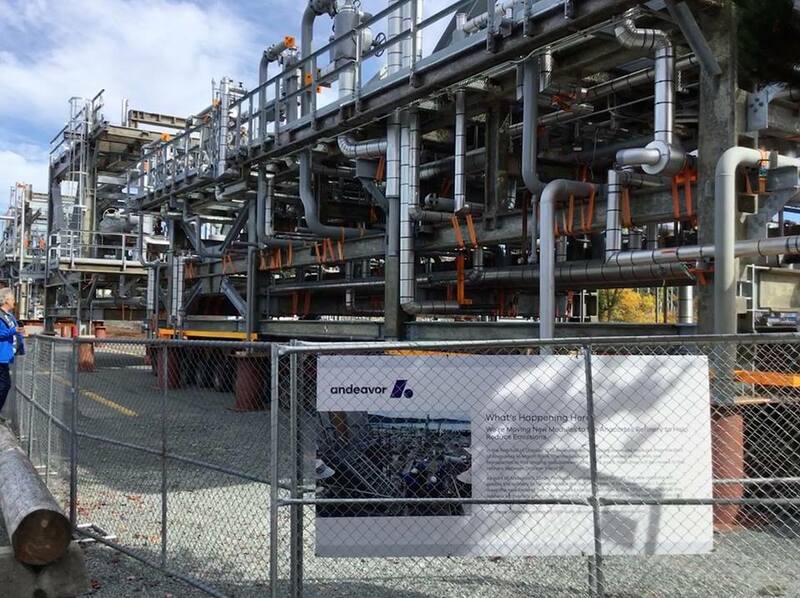 Wild Idaho Rising Tide (WIRT) activists learned on Wednesday, October 4, that Andeavor (formerly Tesoro) and its hauler Mammoet will soon transport nine massive, prefabricated, refinery upgrading components from the Port of Anacortes to March Point, Washington [1-3]. 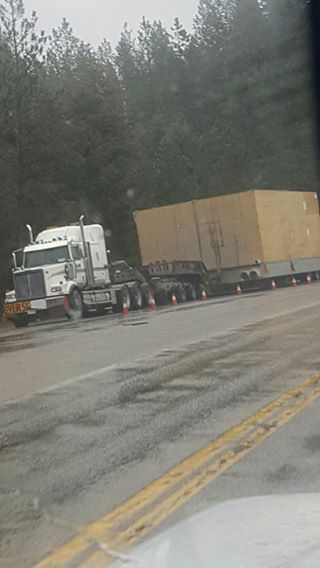 These “module movements” started rolling through Anacortes between Monday, October 2, and Thursday, October 5, off-loaded at the port and transfered multiple times during daylight hours (8 am to 5 pm) to a staging area at R Avenue and Ninth Street in Anacortes. For their part in this scheme, Washington Department of Transportation crews did some overnight work on Wednesday-Thursday, October 4 and 5, requiring single lane closures and brief traffic holds while preparing to swing some intersection signal lights out of the path of the behemoths. The first three “superloads” measure more than 30 feet wide and high and 200-plus feet long, but the last six cargos are smaller. Mammoet is moving only one combination of tractor pull and push trucks, trailers, and pieces of refinery equipment per night during five early morning hours (midnight to 5 am), eastbound along sections of road successively closed then reopened to all regular traffic. The oversized units will each travel 6.5 miles over minimal hills on Friday night, October 6-7, through Sunday morning, October 15. During the first hour (midnight to 1 am), they will disrupt R Avenue between the staging area and Washington Highway 20, and according to posted warning signs, impede Highway 20 to March Point Road between 1 and 2:30 am, March Point Road to the North Texas Road intersection between 2 and 3:30 am, and that intersection to the North Texas gate and into the refinery between 3:30 and 4:30 am. 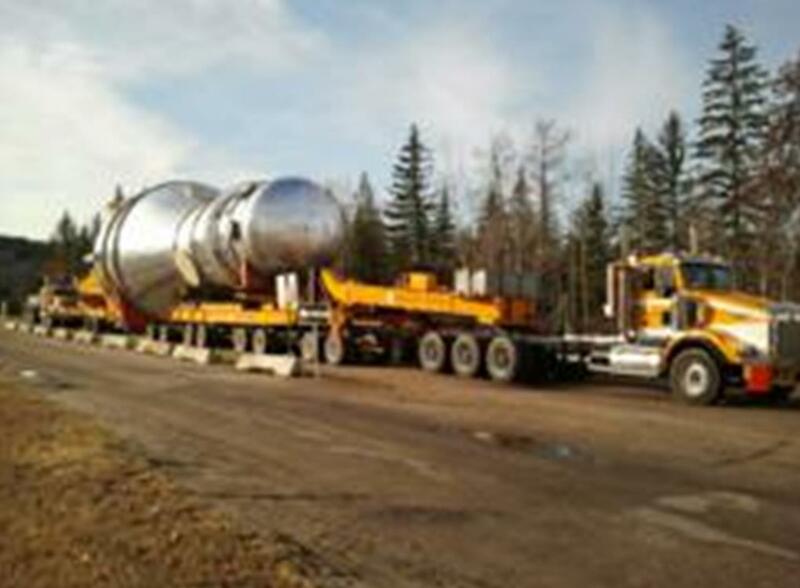 Mammoet must safely cover each segment of the route, from the staging area to its destination, during the designated time slots, or abandon its attempt for the night. Friday, April 14, Spokane Megaload Alert! According to Spokane television media sources shared by a core Wild Idaho Rising Tide (WIRT) activist, one of at least three half-million-pound megaloads heading to an oil refinery near Blaine, northwest Washington, will move from the Idaho panhandle into Washington at 7 pm this evening, Friday, April 14 . The Washington State Department of Transportation and the huge size of the boiler and truck/trailer combination, together weighing 480,000 pounds and measuring 213 feet long and almost 22 feet wide, require that this megaload only moves during overnight hours on a route avoiding low, interstate overpasses and bridges that may not withstand its weight. On Friday, January 27, the Nez Perce Tribe, U.S. Forest Service, and Idaho Rivers United, with the help of Advocates for the West attorneys, reached a settlement in mediation resolving megaload traffic on U.S. Highway 12, as ordered by the Ninth Circuit U.S. Court of Appeals [1-3]. Resulting from three years of studies and discussions, to which the Idaho Transportation Department (ITD) was invited but refused to participate, the agreement prohibits some megaloads from traveling through the wild and scenic Middle Fork Clearwater and Lochsa river corridor, between highway mileposts 74 and 174, from around Kooskia to the Montana border. Grateful for all of the citizens and tribal members who worked tirelessly for years to achieve this triumph, Wild Idaho Rising Tide (WIRT) acknowledges and applauds our colleagues (including Fighting Goliath, Friends of the Clearwater, and others) who have slowed, if not stopped, a rapid, violent process of conceiving, building, and transporting massive loads of fossil fuel infrastructure that privilege oil company profits over local people and wild places. Thanks to everyone for the good news and congratulations on this megaload court case resolution, and for credit for peaceful and well-voiced megaload protests throughout the region. But defense of treaty and public lands and rivers via lawsuits creates sacrifice zones, like the Dakota Access pipeline path diverted from Bismarck to Standing Rock to other watersheds in North Dakota. WIRT activists hope but do not trust that this current mediation success will not again endanger and dismiss diverse communities along alternative, regional, megaload routes beyond the Nez Perce reservation and national forest and the Clearwater-Lochsa wild and scenic river corridor. We will continue to support and assist megaload resistance and uprisings along other region-wide highways supplying interior shale oil and gas and tar sands extraction operations from Columbia River basin and Pacific ports. On and beyond Highway 12, WIRT and grassroots and indigenous allies (Act on Climate, All Against the Haul, Blues Skies Campaign, Idaho Mythweaver, Indian Peoples Action, Coeur d’Alene, Nez Perce, Shoshone-Bannock, Umatilla, and Warm Springs tribes, Fighting Goliath, Friends of the Clearwater, Great Old Broads for Wilderness, Idaho Rivers United, Kootenai Environmental Alliance, Northern Rockies Earth First!, Palouse Environmental Sustainability Coalition, and 350, Occupy, and Rising Tide groups in Bellingham, Boise, Missoula, Moscow, Portland, Seattle, and Spokane, among many others) accomplished intensive, loosely coordinated, megaload protests and campaigns on the ground and in the courts from 2010 to 2014. We necessarily devised creative tactics that effectively, but not as apparently, overcame not only the industry and government adversaries shared with litigating allies, but also the public neglect and dismissal of our efforts engendered by more obvious and publicized lawsuit wins. WIRT minimally celebrates court case gains that deflect the enemy and/or problem to groups with lesser capacities to resist, at least through the conservative state administrative system, due to our concerns over environmental justice, mainstream conservation organization protocol, and the increased possibility under the Trump administration of looming megaload onslaughts on every regional river, road, and rail line, including Highway 12. Comment by Friday on ITD’s Proposed Highway 12 Megaload Rules! On Wednesday, September 28, dozens of Nimiipuu (Nez Perce) activists, friends, and allies across the state rallied in solidarity and spoke at concurrent, teleconferenced, public hearings on U.S. Highway 12 megaload rules proposed by the Idaho Transportation Department (ITD), at its headquarters in Boise and its district offices in Coeur d’Alene, Lewiston, Pocatello, Rigby, and Shoshone . As the region prepares to confront another onslaught of megaloads through the ancestral lands and waters of the Nimiipuu people, protectors requested the presence of legal observers, state legislators, and various protest props signifying exclusion from public processes at these statewide hearings and accompanying demonstrations. 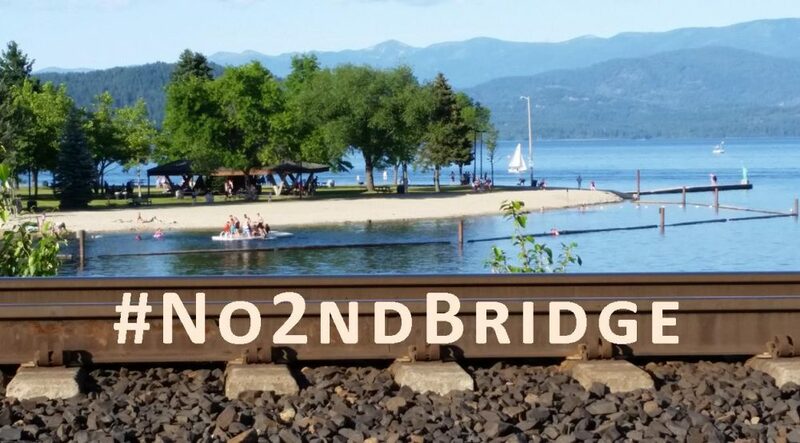 Although tribal officials did not participate in the Lewiston hearing, the Tribe issued a strong, critical statement against ITD’s “ineffectual” proposed rulemaking on Highway 12 megaloads . The statement revealed that “ITD made no effort to contact the Nez Perce Tribe or the U.S. Forest Service before unilaterally proposing this rule.” Amid three years of ongoing, confidential mediation among the Tribe, Forest Service, and Idaho Rivers United, mandated by the Ninth Circuit Court of Appeals after a federal judge placed an injunction on certain Highway 12 megaloads, the statement also disclosed that these litigants invited ITD to join their negotiations in 2015. ITD apparently declined this offer, intent on maintaining and imposing its perceived megaload permitting authority on unreceptive tribal and allied Highway 12 corridor residents and American citizens concerned about their public lands and waters. Recent federal litigation raised new considerations for certain oversize vehicles and non-reducible loads traveling through the Nez Perce National Forest (NPNF) on U.S. 12. The federal district court held that the United States Forest Service (USFS) has concurrent jurisdiction of vehicles and loads traveling through the NPNF. The USFS responded and stated it would review all oversize vehicles/loads greater than 16 feet wide and/or 150 feet in length, when such vehicles or loads travel on U.S. 12 between milepost 74 and milepost 174. While current federal lawsuit litigants have necessarily remained silent about the results of confidential negotiations developing criteria and rules for Highway 12 megaloads over the last three years, the Forest Service has only established interim oversize vehicle definitions, which the proposed ITD rules mimic, not regulations governing their movement. An outsider to mediation talks, ITD is currently rushing the usual, inclusive, rulemaking procedures, contending that IRU, the Nez Perce Tribe, and the Forest Service “have no apparent motivation to pursue a resolution in the mediation mentioned above. Thus, a compromise or consensus cannot be reached through negotiation.”  Anxious to devise new Highway 12 megaload rules and lure commenters to its side of this issue, the state transportation agency is perhaps again attempting to gain some legal control over megaload permitting decisions for the stretch of highway requiring U.S. Forest Service approval and consultation with Nez Perce officials. But since U.S. District Court Judge B. Lynn Winmill issued the Highway 12 megaload injunction, the state of Idaho lacks both the authority and discretion to allow certain types of shipments through this federally protected Wild and Scenic River corridor managed by the Forest Service, with required tribal and public input, for values generally contrary to massive, industrial equipment traffic. Because tribal, conservation group, and federal agency representatives still engaged in mediation processes ordered by the Ninth U.S. Circuit Court of Appeals cannot talk about this issue, indigenous and grassroots groups and individuals who know the extended history, background, and complex intricacies of the megaload issue must lead this round of resistance. We again call on allies across the region to assert diverse, creative responses seeking to abolish ALL fossil fuel and industrial infrastructure from Highway 12 and beyond, while supporting tribal and non-Native partners in this opposition. Let’s maximize this opportunity to proactively unify our voices: NO MEANS NO to megaloads in Idaho! A public hearing on applications allowing trucks weighing up to 129,000 pounds on state highways will be held on June 26. The meeting is set for 4 to 7 pm at the Idaho Transportation Department (ITD) office at 2600 Frontage Road in Lewiston. The purpose of the meeting is to gauge public opinion on the potential routes of 129,000-pound loads, which will include U.S. Highway 95 from Grangeville to Lewiston and U.S. Highway 12 from where it joins U.S. Highway 95 to Mill Road. Megaloads are still on the table, as the Port of Lewiston crafts its budget for the coming fiscal year. The port is seeking to increase the amount it sets aside for legal expenses, from $9,000 this year to $33,000 next year, to be prepared for litigation to keep the U.S. Highway 12 corridor open for megaloads. It has also more than doubled the money available for administration travel to $21,500. Those two items are part of a draft budget for the fiscal year that begins July 1, which Lewiston port commissioners reviewed on Wednesday. No megaload taking up two lanes of traffic has moved on U.S. Highway 12 since last summer, after a federal judge imposed a preliminary injunction halting the shipments in response to a lawsuit filed against the U.S. Forest Service by the Nez Perce Tribe and Idaho Rivers United. The two groups are in mediation on the issue. 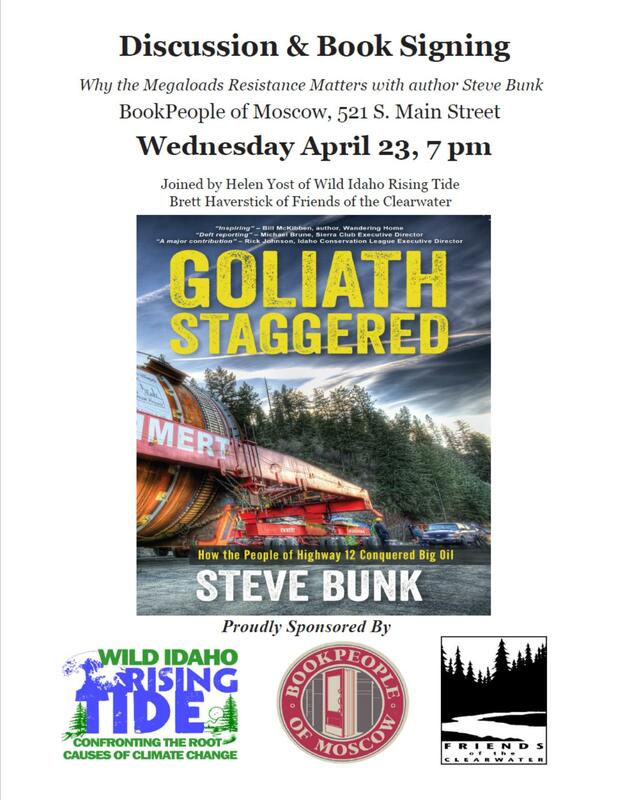 Idaho author Steve Bunk, who covered resistance to the tar sands “megaloads” on Highway 12 for the Missoula-based online journal New West, has written a book called Goliath Staggered: How the People of Highway 12 Conquered Big Oil (New West Books, 2014). Throughout April, bookstores in Boise, Clarkston, and Moscow, Idaho, and Missoula, Montana, are launching the book, warmly received by regional conservationists. Mr. Bunk will visit …and BOOKS, too! in Clarkston on Saturday, April 19, at 4 pm and BookPeople of Moscow on Wednesday, April 23, at 7 pm, for book signings and lively discussions about “Why the Megaloads Resistance Matters.” Highway 12 outdoor travel company ROW Adventures will co-sponsor the Clarkston event at 918 Sixth Street. Borg Hendrickson and Linwood Laughy, the central figures in Goliath Staggered and the couple who galvanized the Idaho megaload resistance, will join Steve and answer audience questions. Public comment is solicited on proposed administrative rules governing 129,000-pound truck routes on the state highway system, the Idaho Transportation Department (ITD) announced. The rules are necessary to implement three bills from the 2013 Legislature. The legislation follows a pilot project that began in 1998 and recently ended. The project allowed trucks and their cargo weighing a total of 129,000 pounds to use 35 test routes in Idaho. Senate Bill 1064 made the test routes permanent on July 1 this year. Senate Bill 1117 allows additional routes to be designated by the Idaho Transportation Department and by local highway agencies. House Bill 322 clarifies the intent of the legislation.